Jenny has been described as an inspiring, strong resilient young woman who has overcome many obstacles to be the successful person she is today. Having had experience of being a young carer for her mother she is now dedicating her time to improving the lives of other young carers. She set up a Young Adult Carers Project, and completed an internship with The Children’s Society planning the 2015 young carers’ festival. 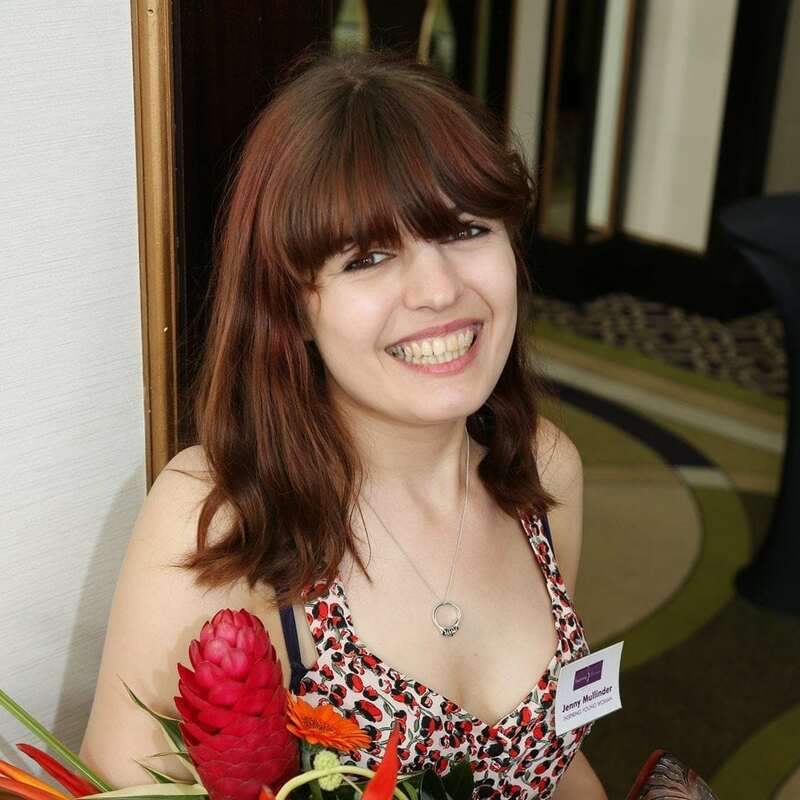 She started her blog, The Smile Diary, in 2013 to share her personal story through difficult times including mental health issues, losing her mother and facing the realities of living on low pay. She uses her blog to promote positive mental well-being and show that it’s ok to talk about issues affecting you. She is a member of the Young Women’s Trust Advisory Panel, a national charity which campaigns for young women living on low or no pay. Through her involvement with the charity she has written blogs, attended events and spoken to decision makers about the realities of young women’s lives in the UK. This includes meeting with the Low Pay Commission to express her opinions on the National Minimum Wage, attending a Future without Poverty conference, and representing the charity at the All Party Parliamentary groups on youth affairs. She is an ambassador for Youth Employment UK, a young ambassador and speaker for Save the Children and a Youth Climate activist for the National Trust.